Theo Walcott: Celebrates scoring the opener for Arsenal. Holders Arsenal won the FA Cup for a record 12th time after beating Aston Villa 4-0 in a one-sided final at Wembley. 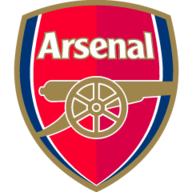 The Gunners were in control for almost the entire match and deservedly took the lead in the 41st minute through Theo Walcott, who was preferred up front to Olivier Giroud. Alexis Sanchez doubled the advantage with a fantastic strike shortly after half-time and Per Mertesacker headed in a third after 62 minutes. Giroud then capped off a dominant display by netting the fourth in injury-time as Arsenal became only the eighth team to retain the FA Cup and the most succesful side in the competition's long history. The victory also ensured Arsene Wenger became the first manager in the post-war period to win the trophy six times, former Villa boss George Ramsay securing his sixth back in 1920. While it was delight for Wenger and Arsenal, it was disappointment for Villa, who were unable to reproduce the performance that saw them beat Liverpool in the semi-finals. Tim Sherwood's side were second best throughout and failed to muster a shot on target as Wojciech Szczesny enjoyed a comfortable afternoon. The Polish international was included in the Gunners line-up along with Walcott, who was rewarded for his hat-trick on the final day of the season with a starting spot. It didn’t take the holders long to get into their stride as they soon started to apply sustained pressure and create chances. Shay Given pulled off an excellent save to keep out a header from Laurent Koscielny before Aaron Ramsey fired over the bar in the 20th minute. Kieran Richardson then made a goal-line block to deny Walcott from close range as the Gunners dominated proceedings. Villa created nothing of note at the other end as they struggled to get Christian Benteke in the game. It looked as though they had managed to slow Arsenal’s momentum slightly as half-time approached, but Walcott then struck to break the deadlock. Sanchez rose well to head a centre back across goal for Walcott, who showed good composure to fire home. The Gunners continued to dominate after half-time and doubled their advantage when Sanchez fired a brilliant swerving strike from almost 30 yards past Given. At that stage the game already looked up, but Arsenal continued to pile on the pressure and got a third when Mertesacker was left wide open from a corner to head home. 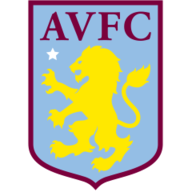 A late Villa comeback never looked likely, although they were aggrieved not to be awarded penalties when Gabby Agbonlahor and Jack Grealish both went down under challenges in the box. Giroud then rubbed salt in Villa wounds as he tapped in Alex Oxlade-Chamberlain's cross in injury-time to round off an emphatic victory.